In this article I will explain how to create or generate thumbnails from Images in JQuery using asp.net. In previous article I explained Generate thumbnail from images in asp.net, Generate thumbnails from YouTube videos using JQuery and many articles relating to JQuery, asp.net, SQL Server etc. 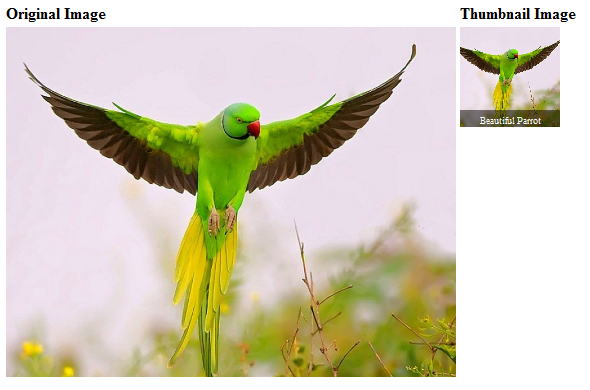 Now I will explain how to generate or create thumbnails from Images using JQuery in asp.net. Thank you so much it was very good . Hello its fantastic . I have a question can we passing parameter as with and height to this java script on page?